5-Minute Freezer Chicken Soup for Easy Meal Prep! 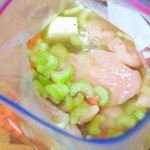 Home » Recipes » 5-Minute Freezer Chicken Soup for Easy Meal Prep! 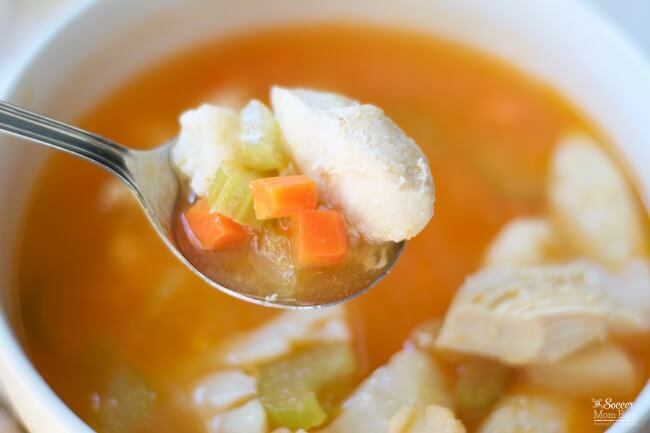 This hearty and healthy freezer chicken soup is an easy dinner recipe to make ahead in bulk, saving both time and money! Enjoy this freezer chicken soup on its own, or stir in additional veggies, rice, etc. to change it up. You’ll never get bored because the possibilities are endless! This easy recipe only takes about 5 minutes of prep, and you’ll have a ready-made meal perfect for those days when you’re short on time. Free printable copy of this recipe available at the bottom of the post. Combine all ingredients in a freezer safe gallon bag. Store in the freezer until you’re ready to cook and serve. (Each bag makes about 4 servings). Set bag under running water for a few minutes to loosen the frozen soup from the sides of the bag. Open bag and carefully turn upside down in a large stock pot. The bag should slide right off. (If not, try running under water for a couple more minutes or cut the bag away with kitchen shears). Once you’ve removed the plastic bag, turn on burner to medium heat and cover pot. Cook covered for about 30 minutes. Check occasionally and reduce heat when soup reaches a boil. This freezer chicken soup couldn't be easier! Prep in 5 minutes, freeze, and you've got a fast, hearty, and healthy dinner in a busy day! Click for video! Combine all ingredients in a freezer safe gallon bag. Store in the freezer until you're ready to cook and serve. To reheat, set bag under running water for a few minutes to loosen the frozen soup from the sides of the bag. Open bag and carefully turn upside down in a large stock pot. The bag should slide right off. (If not, try running under water for a couple more minutes or cut the bag away with kitchen shears). Once you've removed the plastic bag, turn on burner to medium heat and cover pot. Cook covered for about 30 minutes. Check occasionally and reduce heat when soup reaches a boil. Want to know more about how our family saved a ton of money meal planning? 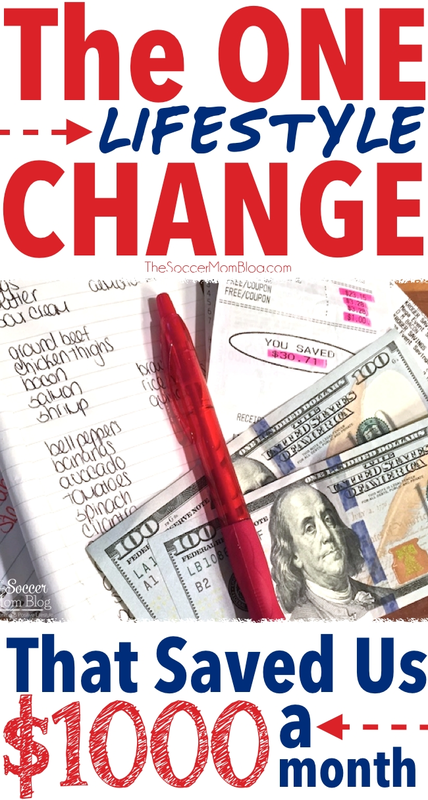 Check out this post about the one lifestyle change that allowed me to be a stay at home mom!